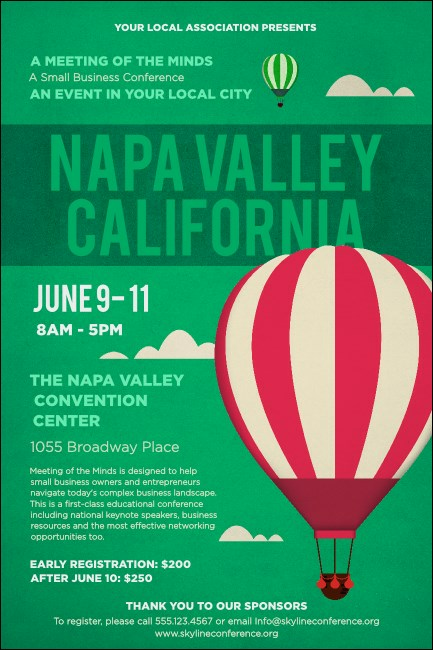 Gather a great group together for your tour of the famous vineyards in the North Bay area when you print Napa Valley Posters in advance for your event. Show California the difference between amateur and experienced advertisers with Posters that feature a rich, green background with a little hot air balloon floating to one side. TicketPrinting.com helps you indulge in the best advertising.